Henry meets Christa on the west tower of the Brooklyn Bridge, just as they’re both about to jump off and kill themselves. Despite his paralyzing depression—and her panic over a second bout of cancer—they can’t go through with their plans knowing that the other is going to die. So they make a pact—they’ll stay alive for 24 hours, and try to convince each other to live. From the Staten Island Ferry to Chinatown to the Museum of Modern Art—Henry and Christa embark on a New York City odyssey that exposes the darkest moments of their lives. Is it too late for them? Or will love give them the courage to face the terrifying possibility of hope? 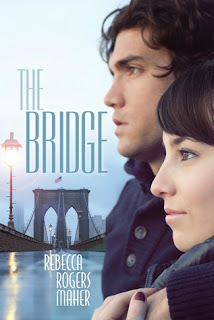 When Tasha from Truth, Beauty, Freedom and Books told me she read a great romance called The Bridge, I immediately went to check it out. Then I told her she was all kinds of crazy for liking the book. She then told me she liked it so much she wanted to read everything on the authors backlist-which made me think it couldn't be that bad. Then I read the synopsis again, and thought how on earth could this be a good romance? You know what? I hate to admit this, but this book was really, really good. The Bridge is so bittersweet. These two people are in so much pain and are so vulnerable that you just want to hug them throughout the whole book. Henry and Christa are book likable, and I love how each of them is trying to save each other from themselves. Both are in dark places in their life, but meeting each other is the one bright thing to happen when they least expected it to. If I hadn't had to work on the day I started the book, I probably could have read it in one sitting. It's that engrossing! The only fault I really had with the book was the ending. It just felt rushed, and kinda came out of nowhere. I might've screamed a little and said "I want more!" causing those in the room with me to give me odd looks.